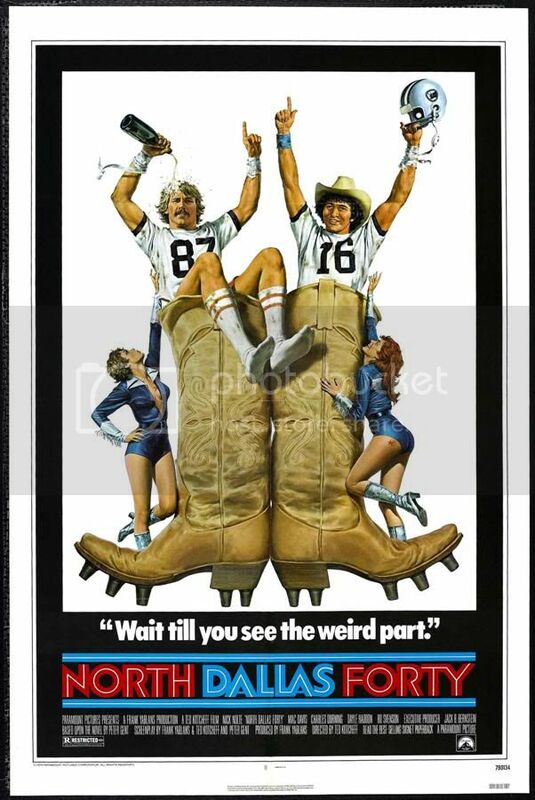 North Dallas Forty (1979) was a critically and commercially successful adaptation of Peter Gent’s 1973 novel which chronicled—in thinly fictionalized form—the five seasons the author spent playing for the National Football League. Mixing the potent thrills of the gridiron with a flavorful, occasionally harrowing, depiction of what happens in the hours and days surrounding “the big game,” North Dallas Forty is a highlight in the annals of sports movies. British composer John Scott renewed his association with director Ted Kotcheff to provide a terrific score for North Dallas Forty, balancing personal, intimate music with dramatic sports energy. The music draws on the composer’s jazz background (as a prominent session player in the ‘60s) but grounds it in a classical approach. The main theme is a flexible, bluesy melody which is tender and mellow when it accompanies the movie’s more emotional moments, and haunting and eerie as it underscores the physical and emotional damage incurred by the players. By contrast, some of the football scenes feature a type of tuneful, disco-orchestral fusion (common to sports broadcasting of the era), while others underscore the violence, drama, celebration and heartbreak of the sport. The 20-page booklet includes a personal reminiscence from composer Scott plus informative notes about the film and score by Andy Dursin (incorporating further quotes from Scott). Numerous film stills and the customary track-by-track analysis of each cue complete the package. This premiere release of John Scott’s complete score for North Dallas Forty has been newly remixed and mastered from the original 2" 16-track recordings for sterling sound quality. The extensive bonus section features numerous unused cues and alternates. NORTH DALLAS FORTY by John Scott, The Glory and Pain of the Gridiron Exposed! Film Score Monthly presents this new never before on CD release! I'm loving those samples! Never seen the film, but it sounds great. Fantastic release! A film I've seen decades ago but had completely forgotten about, let alone John Scott's music. Great idea to dig this one up, thanks, FSM! A pity the boots-with-cleats part of the graphic has been so obscured by the type though. Great! I 'm always up for more John Scott. I've always loved the suite from this score on "John Scott Conducts". Thank you Lukas and co.! I saw the film earlier this year and remember liking the main title. The rest of the score didn't register much, but I look forward to (re)discovering it on this CD. Why is it that FSM cds listed on SAE do not have the feature to play all samples with one click? It's cumbersome to click on each track and play them individually. Really? I just use Firefox with DownloadHelper to download all of the samples into a single folder, and then load all the MP3 files into Windows Media Player. If I like what I hear, I buy it and delete the samples. If I'm on the fence, I save the samples and revisit them later with a more open wallet, er, mind. And if the actual tracks are shorter than a minute, score! I just use the foxytunes app.